Internalizing the Wisdom of Nature Can Create More Joy, Satisfaction, and Happiness in Your Life! abundant, sustainable life? Well, you can… the ‘life coach’ is called Nature! Highlights from the 2018 Retreat! Civilization, as we know it, is in the process of making a monumental shift in human consciousness of which we are all playing a part, consciously and subconsciously. Every aspect of our lives, both personal and professional, is being profoundly affected. Using PSYCH-K®, you can help to positively direct this change, for yourself, and for all of humanity! This is a fact, because we are all interconnected energetically! In quantum physics this is called, “quantum entanglement”, in spiritual circles it is often referred to as “The Law of One”. Nature has much to teach us about living a satisfying, balanced, and sustainable life, if only we would pay attention to Her Wisdom! Much of our civilization’s dissatisfaction, disharmony, and unhappiness would vanish if we applied this universal Wisdom in our everyday experience. Living more satisfying, harmonious, and happy lives would impact every aspect of our existence, including our relationships, health, business careers, and spiritual identity. With the help of these two master teachers you will learn the science behind the Wisdom of Nature and then how to internalize that Wisdom at the subconscious level of the mind where it can become a self-fulfilling habit instead of a day-to-day struggle! You will learn the science behind the Wisdom of Nature, and how it impacts your life. You will understand that you are not a victim of your genes when you are a master of your beliefs. You will be taught how to align your subconscious beliefs with Nature, in order to free your mind from the prison of limiting beliefs that are no longer worthy of who you are, or who you are becoming. You will discover how to use PSYCH-K as a tool for psychological self-help and spiritual self-realization. As a PSYCH-K Facilitator, you will be able to use PSYCH-K with yourself, friends and family, as well as professionally. You will meet people from all over the world who come to help create a better life for themselves, and others. You will be qualified to participate in the PSYCH-K® GAIA Project which is helping to shape the future of humanity! Three billion years before the origin of humans, Nature was a “Garden,” an integrated web of life comprised of millions of species living in harmony and cooperation. Yes, even the food chain is an example of the integrated web of life! Like all species in the Garden, early humans also lived in harmony with Nature, adhering to her basic principles of organization and community. In our modern industrialized society we have lost touch with how to live in harmony with Nature. This loss detached humanity from the innate wisdom and guiding principles of Nature. Fueled by the Darwinian theory of evolution, which has led us to believe we are simply random mutations without purpose in the universe, we are in crisis. Crisis precipitates evolution: The “new” biology reveals that evolution is neither random nor predetermined, but rather an intelligent dance between organism and environment. To thrive into the future, we must return to living in harmony with the principles of Nature. This program is an invitation to participate in the greatest adventure in human history—conscious evolution! 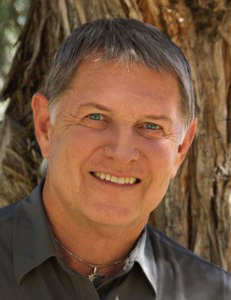 Rob and I will both emphasize the Wisdom of Nature, while my presentation will specifically focus on the science of how Nature’s organizational principles and our collective consciousness are fundamental in guiding the evolution of human civilization. In a dynamic, multimedia journey from the microcosm of the cell to the macrocosm of the mind, I will offer a “new” biology based on quantum physics and epigenetics that reveals how our thoughts, attitudes and beliefs create the conditions of our body and our place in the world. Through an awareness of the wisdom of Mother Nature’s principles and the ability to integrate them into our consciousness using the PSYCH-K® process, we are provided with an opportunity to thrive through this turbulent period in our planet’s history. Knowledge is power and the knowledge of “self” offered in this program provides “self-empowerment” and the ability to evolve from passive victims to responsible co-creators in manifesting the world to come. I personally love partnering with Rob because PSYCH-K® is a proven and effective process that can help to rapidly and positively direct this change to enhance personal and global evolution. If we want to positively affect this epic change, (going on right now, on a planet very near you! ), we will need to shift human consciousness toward that end. The good news is that when you change yourself, you help to change the world! Nothing short of a worldwide mind-shift is needed to effectively manage our lives during these uncertain times of unprecedented change. We see evidence of this global shift in every aspect of our lives, including the economy, ecology, healthcare, business, education, governments, as well as in our personal lives. Our lives are a result of our beliefs, especially at the subconscious level of the mind, where, according to neuroscience, at least 95% of our thoughts and behaviors originate. Consequently, most of us are running our lives on auto-pilot! In other words, we are mostly unaware of the programs that direct our thoughts and actions. So what does this have to do with the Wisdom of Nature? The answer is EVERYTHING! As you will learn from Bruce, wisdom is a major key to addressing most of the problems of our global society. Many of the problems of the world are a direct result of ignoring that Wisdom. I will be teaching you the foundational course for PSYCH-K®, a proven method for changing subconscious beliefs that no longer serve who you are, or who you are becoming. Special emphasis will be placed on 11 key Principles of Nature that embody this life-changing Wisdom. In addition, you will be able to apply what you learn to other areas of your life, including relationships, self-esteem, spirituality, grief and loss, and more. PSYCH-K® just celebrated its 30th year of service to our global community, helping people of all cultures live more satisfying, purposeful, and joyful lives! Special Addition: This year I will be introducing Retreat Participants to the PSYCH-K® GAIA Project. After completing the training you will be qualified to participate in this very special project to positively affect the global consciousness of humanity. This program was launched last year and already has over 1,400 PSYCH-K® Facilitators participating from around the world. I will share more details at the Retreat. You can make a much bigger difference in the future of humanity than you may have imagined! Tuition: Early Registration $1,500 through April 30th — $1,650 after April 30th. A delightful culinary buffet luncheon will be provided for Retreat Participants. *Airfare, transportation, accommodations, and all other meals and extra services are not included in the tuition price. 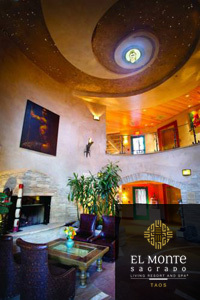 Special group rates for PSYCH-K® Retreat participants: for more information click here. Register Me for the Retreat! Still undecided? Watch the highlights from the 2018 Retreat! 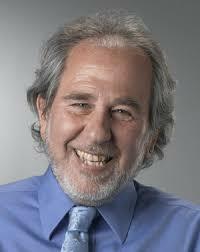 Meet Rob Williams and Bruce Lipton, in person. Interactive question and answer time with Rob and Bruce. Delectable hors d’oeuvres will be served, cash bar available. Register me for the Special Reception! Call 855-846-8267 toll-free to speak to a Reservations Representative; please reference the “PSYCH-K Retreat” event on August 8th. Be directly connected to available rooms for the event dates on the El Monte website. DEPOSIT: A first night’s deposit will be required. *The reservations cut-off date is Monday, July 10, 2019. After this date, any rooms not reserved will be released into the hotel’s general inventory and will only be available based on availability at the prevailing rate. Taos is a town in northern New Mexico’s high desert, bounded by the Sangre de Cristo Mountains. It’s known for historic adobe buildings such as Taos Pueblo, a multistory adobe complex inhabited by Native Americans for centuries. 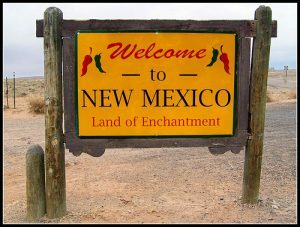 A longtime artist colony, Taos also offers many galleries and museums showcasing regional artwork.